Custom – 4-6 weeks delivery. The waist measurement needed is the actual waist measurement, not your pants size. Typically, your pants will be 2 to 4 inches smaller than your actual measured waist. 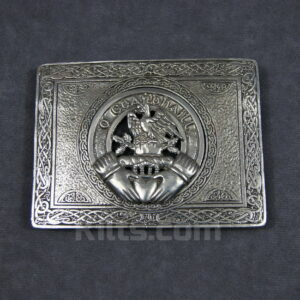 Browse our extensive Scottish Clan Crest Database for your clan here. Once you select your chosen clan from the database, please enter the full name of the clan into the text box below, before continuing your order. 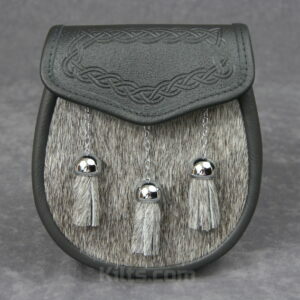 Our Scottish Clan Crest Semi Dress Sporran comes with your Scottish clan emblem on the flap of your sporran. We have a wide range of Scottish names for sale. 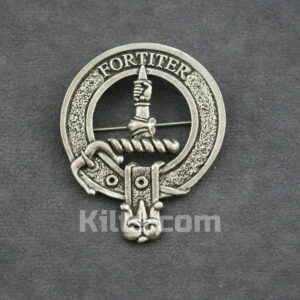 Each sporran is custom made for you with your chosen clan emblem. 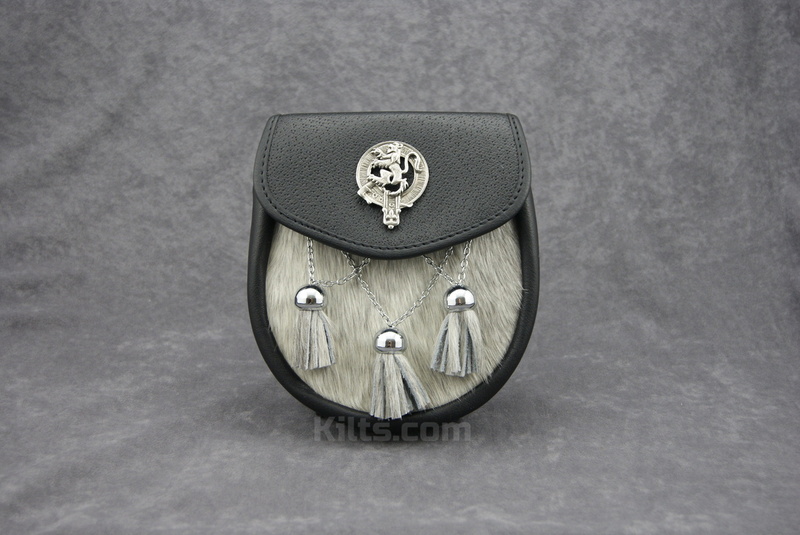 The fur on the front is high quality bovine fur, which also features on the tassels. 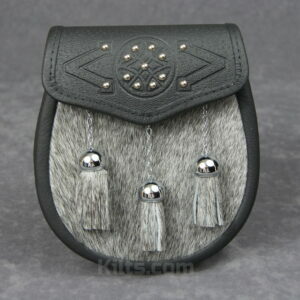 The color of fur will vary between each sporran. The sporran comes with its own sporran chain, which can be adjusted to fit all sizes. 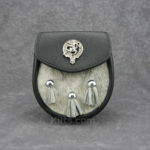 Please Note – Each sporran is custom made so it will take 4-6 weeks to deliver the sporran. – Product Dimensions of 8.75″ high X 7.25″ wide X 2.75″ deep.